Well equipped and high quality, Robinsons Horse & Rider First Aid Kit has everything the thorough rider could need. Contents include : 1 x Animalintex, 1 x 12 Gamgee, 1 x Equiwrap cohesive bandage, 1 x Skintact sterile absorbent dressing, 1 x 15g Vetalintex sterile Hydrogel, 1 x Fastaid cleansing wipe, 1 x Tough cut scissors and 1 x Rider Fast Aid travel First Aid Kit. 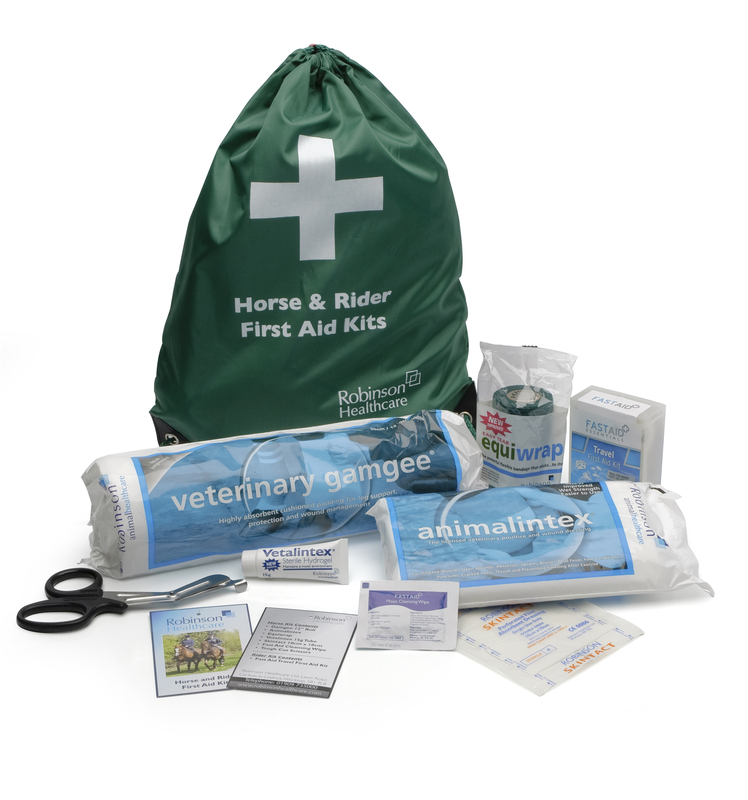 There are currently no questions for Robinson Horse & Rider First Aid Kit - be the first to ask one!